Asthma — Can We Live with It? My 21year old friend has been living with chronic asthma since his childhood. One fine day, two years ago, he unexpectedly turned blue due to shortage of breath and had to be rushed to the hospital. He was admitted there for two days and was nebulized after every six hours. Perhaps he had been negligent in taking his medication as well as precautions. But since then he has become wiser and takes the medicines prescribed by his doctor religiously and regularly. He always carries an inhaler with him wherever he goes and uses it twice daily. He told me that his sister is also living with this ailment but hers is the acquired type, while his is genetic. In most cases, acquired asthma is not as problematic as the genetic one. The person with genetic asthma has to take better care of himself because it can cause an attack almost anytime and all that a person can do is be prepared. Today, this friend of mine is an active basketball player and performs all his daily chores in the same manner as any other person. Like many others of his kind, he is a living inspiration to all those people who wrongly believe that asthma prevents one from leading a perfectly normal and healthy life. Dr Surya Kant shared that every year there is an upsurge in the number of asthma patients during the months of July and October. He attributes this to the change in season that is one of the factors which triggers asthma. An interesting fact which he shared was that intake of cold drinks and ice creams are important trigger factors for 1 in every 3 Indians suffering from asthma. His advise is that we Indians should replace intake of iced drinks and other iced products with indigenous alternatives like butter milk, and coconut water to protect the children from developing asthma. A study done in the school going children of Delhi, the capital of India, found that unregulated intake of fast food and rise in obesity are also leading to asthma in children. So one has to be careful of one’s lifestyle too. "Since asthma is a genetic ailment, one cannot change the genotypes but can surely change the triggers. Air pollution, house dust, biogas fuel smoke and pollen grains are other common risk factors. House dust provokes the genotype to convert into the phenotype asthma. Houses should be properly ventilated and admit enough sunlight, which kills the bacteria. Carpets, heavy curtains/sofa covers, pet animals etc also create risks. There is no moisture and fungus formation if the house receives proper sunlight and oxygen. Coming to the houses that are too modern, we see a lot of sofa covers, curtains, carpets etc. All these, including pet animals, create an allergic environment for people with asthma and should be avoided," said Dr Surya Kant. 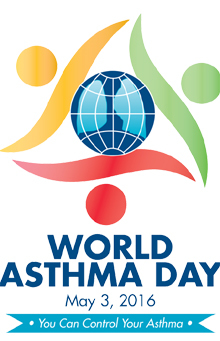 In this year's World Asthma Day webinar, Dr Jeremiah Chakaya Muhwa of the Forum of International Respiratory Societies (FIRS) and member, Board of Directors, International Union Against TB and Lung Disease (The Union) lamented that asthma is often under diagnosed and, even when diagnosed, under treated. There seems to be a tendency to ignore it as it does not kill as much as other diseases. But it has massive social, psychological, economic and physical consequences. He rightly called asthma a public health problem that needs a well-coordinated public health response.